The Best Prices. Prompt Service. Call Now! Are you searching for a convenient and affordable junk removal solution? Are you sick of that growing pile of trash or just ready for a good clean up? Same-Day Rubbish Removal provide the service you’re looking for. 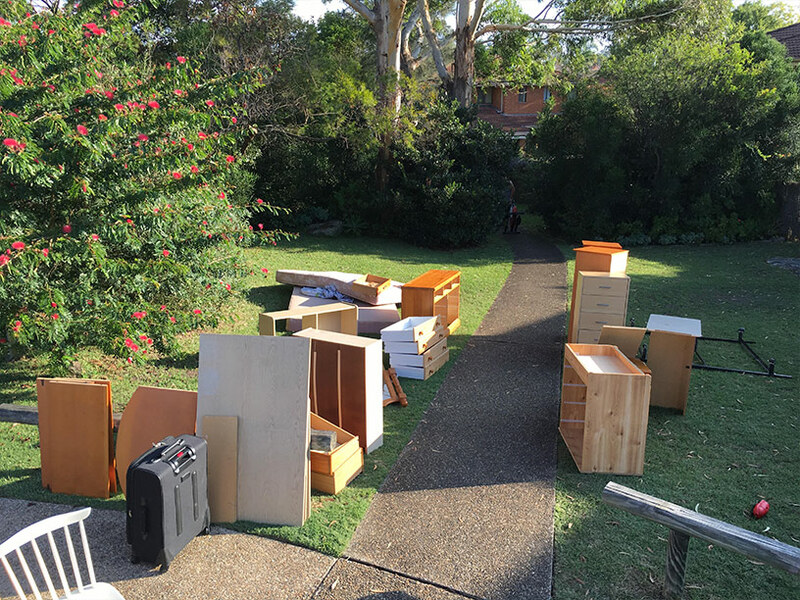 We pride ourselves on having the best value waste removal service in Baulkham Hills and the Hills District area. Call us on 0402 737 046 for a free quote that you’ll find hard to refuse. If you’re part of the majority of Australians who claim to care about the environment, you probably take some care to dispose of your garbage the right way. People are giving more attention to environmental issues which has led to a general increase in the amount of junk that gets recycled. Unfortunately, it’s not always clear what can actually be recycled or how to do it. There are many informative websites about what can and cannot be put into your curb side recycling bin – tins, jars, bottles, containers and cartons are usually recyclable; plastic bags, broken glass, polystyrene and foam are some items that aren’t. When it comes time to get rid of that old broken fridge, you may not know if it is able to be recycled, and you’re certainly going to have trouble placing it in your recycling bin! This is where Same-Day Rubbish Removal is able to help. We’re able to remove any large objects from your home or business and to dispose of it in the safest and most responsible way. There’s no confusion or hard work left for you when you call our friendly and experienced waste removal team. If this service sounds appealing to you, and you’re wondering how much it might cost, you should request a quote right now – you’ll be even more impressed when you hear our affordable rates! Since we do the whole job in one go, we’re able to offer cheaper rates than other junk removal options. No need for multiple trailer loads to the local recycling and waste management centre or no need to pay for a skip drop off, pickup and hire. Same-Day Rubbish Removal come straight to your Baulkham Hills property and take everything away in one go. You don’t have to do any lifting, just direct us to what needs to go! In addition to Baulkham Hills, our business operates in most other Hills District suburbs – Castle Hill, Pennant Hills, Blacktown and Kellyville to name a few, as well as out to Parramatta and most other suburbs throughout Sydney. If you’d like to see that junk gone at an affordable price, don’t wait any longer. Our friendly team are ready to come and help solve your rubbish problems. For a service that won’t disappoint, call us now on 0402 737 046 and let your waste worries be disposed of!